Three people – including one juvenile – were cited on March 26 after police responded to a disturbance at a home on Manilla Avenue, police say. Police went to the home around 9:30 p.m. Tuesday after getting calls about the disturbance. Police provided no other details, but they ended up seeking charges of disorderly conduct and third-degree assault against Ronald Krieder, 44, and disorderly conduct against Charlene Krieder, 45. A 14-year-old at the home got a juvenile summons for disorderly conduct. Charlene and Ronald Krieder were scheduled to appear in court Wednesday to face those charges. -The Milford Chamber of Commerce wants to have a Milford Restaurant Week starting Sept. 22 and lasting through that week. During the week, you would get price fixe options at city eateries. -The EDC applied for a little over $30 million in aid from the U.S. Housing and Urban Development department for Hurricane Sandy relief for homeowners. A tentative timetable for that money getting to Milford is a little over 4 months, but maybe sooner. -The Milford Film Festival might happen Sept. 6 and 7. A "major celebrity" may be a spokesperson for it. The Milford-based Carter Mario law firm is offering $20,000 in college scholarships for high school seniors. The Arrive Alive scholarship helps students pay for college, but it’s also a vehicle to show the dangers of drunk and distracted driving. To apply, seniors must prepare a presentation on driving safety focusing on the dangers of drunk and distracted driving. Available are six scholarships for video presentations, two for graphic presentations, and two for written presentations (including essays, songs, and brochures). Carter Mario and his staff will judge the presentations awarding $2,000 to 10 seniors from Connecticut who plan to attend a four-year college or university beginning next fall. Police arrested Daniel Seifert, 22, of Red Root Laneafter 1 a.m. Thursday for failure to display a registration plate and driving under the influence. Police said they spotted Seifert's car driving down Bridgeport Avenue with no front license plate. When they stopped him, police alleged, they found that he was drunk; they said that a breathalyzer test revealed he had an elevated blood alcohol level. Held on a $500 bond, Seifert has an April 11 court date. Police arrested a Welches Point Road man after they got a complaint of a domestic disturbance at a home there just after midnight on Tuesday morning. Sergio Soler, 32, threatened to harm another resident of the home in the presence of a child, police said. Police contacted the Department of Children and Families to respond to the home. Held on $10,000 bond, Soler faces charges of disorderly conduct, risk of injury, and second-degree threatening. MILFORD — The Annual Smooth Jazz for Scholars concert has been set for Friday, April 26 and Saturday, April 27, 2013 and will be held at the Parsons Complex in the Veterans Memorial Auditorium. The complex is located at 70 West River Street, Milford, Conn., 06460. Doors will open at 7:00 p.m.; concert begins at 8:00 p.m. The sponsors for this year's show are Courtney Honda of Milford, Barrett Outdoor Communications Inc., Briarpatch Enterprises and The Milford Bank. Now in its 11th year, world renowned jazz musician and local resident Jay Rowe is excited about this year's event. Rowe donates a portion of the ticket sales back to the Milford Public Schools Music Dept. as a way to thank the educators who were there at the beginning of his musical career. He is a graduate of Calf Pen Elementary and Joseph A. Foran High School. Since its inception, Rowe has donated more than $46,000 to the Milford music program. HARTFORD, CT – Noting the overwhelmingly support for the program from business owners, State Senator Gayle Slossberg (D-Milford) today voted with the Senate in passing a bill that will make funds available to support Connecticut small businesses through the Small Business Express (EXP) program. Senate Bill 801, “AN ACT MAKING MANUFACTURING ASSISTANCE ACT FUNDS AVAILABLE FOR THE SMALL BUSINESS EXPRESS PROGRAM,” allows state funds that had already been made available for manufacturing and related development to be re-directed to EXP. ... Van Parker, has regretfully submitted his resignation to join his wife who has taken a corporate management position in Virginia. We wish them well with their move.The board has offered the position of executive director to Paige Miglio and she has accepted. Paige is a Milford resident and is active in the community as well as a member of the MFAC. She is a professional artist who is creative and passionate about the arts. We are very excited about her new role with MFAC. 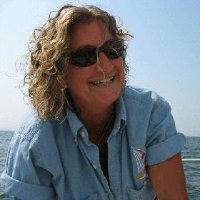 According to Miglio's LinkedIn page, she went to the Rhode Island School of Design (one of the top art schools in America), and is active in Milford Murals and the yacht club. MILFORD-- The Milford Recreation Department is proud to announce that registration for its Outdoor Summer Basketball Clinic with, Steve Schuler will begin April 1, 2013. The clinic is for Milford Resident boys and girl’s age’s six to eleven. The program format will stress the FUNdamentals of basketball. It will be held at the Fowler Field Basketball Courts (behind the library). A morning and afternoon session will be offered for the first week of camp. The program will run Monday through Friday from 8:30am – 11:30am or 12:00pm – 3:00pm the dates listed below. The registration fee is $60.00 per morning or afternoon session or $120.00 for a full day. Each participant will receive one clinic t-shirt. In the event of rain, call (203) 783-3280. There are no make-up dates or credits/refunds for cancelations due to inclement weather.